A new technique measures how much the ground is pressed down by flood waters. It's been a devastating week for several American states as Hurricane Florence tore through the Carolinas and nearby regions, leaving a trail of flood damage and deaths. 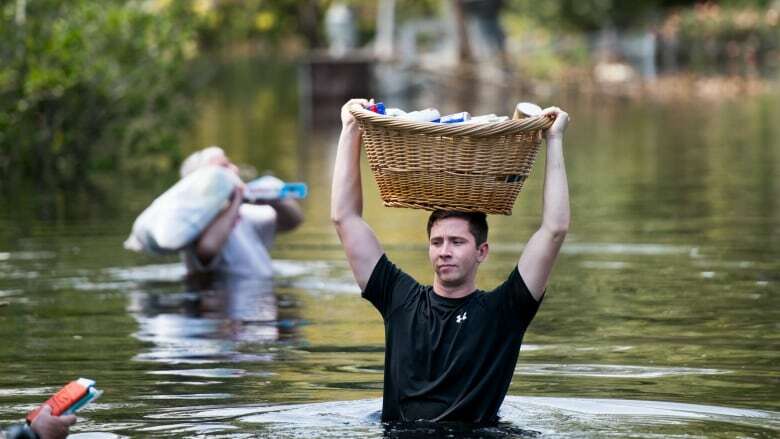 As it moved inland, Florence dumped almost a metre of rain, inundating some areas, causing death and destruction. Scientists think these destructive floods could be more of an issue with hurricanes in the future. On a previous episode of Quirks & Quarks, we spoke to a researcher who suggested that climate change could be causing hurricanes to move more slowly, which means they'll be staying longer at the places they hit and dumping more water. To limit the damage increased flooding might cause, researchers are exploring ways to improve their predictions of where large amounts of water on the landscape will go. Dr. Chris Milliner, a geoscientist and postdoctoral fellow at NASA's Jet Propulsion Laboratory, has been using a GPS-based tool from his field of earthquake monitoring to track hurricane storm water that piles up on land. His GPS approach uses precise location information from a network of sensors to provide information about the vertical movements of the Earth's surface. "Those GPS stations are essentially measuring the change in the elevation of the Earth's surface and the extent of that depression," explained Milliner. "So you can then back out and calculate what was the weight of water that caused the observed subsidence." He tested his technique on Hurricane Harvey — the wettest tropical cyclone on record in the States — and found that 100 cubic kilometres of water was deposited during the hurricane — enough to measurably depress the Earth's crust. Is Canada prepared for a Hurricane Harvey disaster? 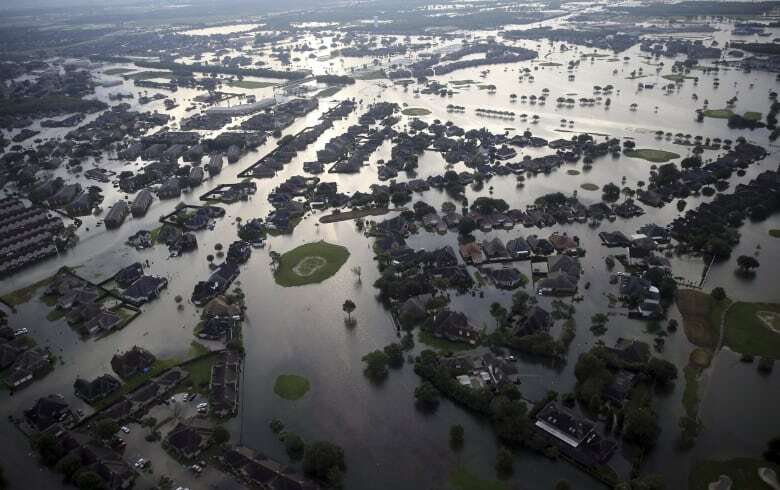 "What we found was that Houston, the city, subsided by about two centimetres and sprung back up as that water was dissipating and draining back into the ocean." Knowing the amount of water accumulated in a region could help to forecast where that water is going to go next, and inform flood response teams about places that are vulnerable to flooding such as rivers and dams. Milliner and his colleagues are still looking to test the technique on more hurricanes, including Florence, to validate their approach. Geoengineering could hold back climate warming - but what if the dam bursts?